will showcase Revelation Rochester’s artistic director, local artist and homeless advocate, Richmond Futch, Jr.'s most recent body of work influenced and informed by his work with our homeless community and the images captured by local photographer, Michele Ashlee, used as reference material for many of his portraits. Wherever there is a human being, there is a human story…. Learn more about the people behind the paintings, the artist who rendered them and the photographer who captured them and why. 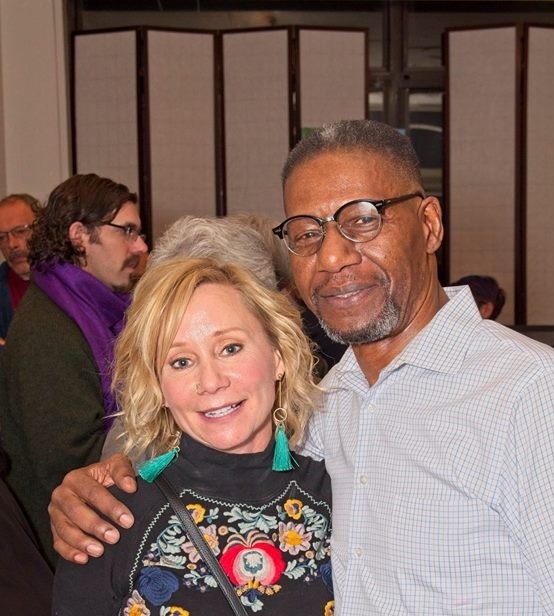 Richmond Futch, Jr. and Michele Ashlee, will talk about their individual contributions to the project both behind the paintings and the lens. The concept of the work is to capture the spirit of our homeless culture using a palette and feeling inspired by each separate and distinct personality and individual backstory. They all come from different backgrounds and journeys. One was an artist, another a theater director. Another a navy veteran, and yet another a Long Island socialite. They are all of us. By illustrating our common humanity using color, texture and design to awaken the viewer to consider how alike we are despite their challenges of poverty, unemployment, drug addiction and mental illness we will create a powerful exhibition of their portraits. We hope to use the visual arts as a healing instrument and to acknowledge and uplift those that live in the shadows of our communities by making the invisible visible through art. at Google Play and the APP Store before coming to the show to see “Behind the Paintings” and ‘Behind the Lens” Words from both the artist, Richmond Futch, Jr. and photographer, Michele Ashlee and their work! "I want everyone to see the people beyond the tents. I want them to not only look at the tent but through the tent. To see the beauty in the homeless, not the chaos. By painting Tent City at the Fence, I hope to document the neighborhood that the homeless have called home through all seasons. A home and a community that will soon disappear." ~ Richmond Futch, Jr.